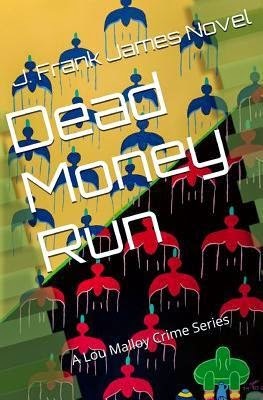 Crime thriller author J. Frank James is here today to talk about his novel, Dead Money Run. Jim's novels have the elements necessary of good crime novels that keep readers glued to the pages from start to finish. Although Jim’s crime novels are fiction works, they are exciting to read because of their authentic nature. They are written with the backing of Jim’s experience in law, so they are believable situations that have the readers wanting to find out what happens next just like they would in any crime situation. Welcome, Jim. Please tell us about your current release. One day I was at an art gallery and someone asked me if I was a writer. I have always enjoyed writing, but had never published anything. They said they were a publisher and would like to see one of my manuscripts. Not having one, my wife told me to write one and so I did. In the course of that effort, Lou Malloy was born along with Hilary Kelly. I have just finished my eighth book in my Lou Malloy Crime Series. It is entitled “Finders, Keepers”. As is the case in all of my Lou Malloy novels, Lou is off again on an assignment by the U.S. Department of Homeland Security (DHS). The events are triggered by Hilary Kelly’s desire to take a vacation to Italy. When Max Reynolds from DHS learns of the planned trip, he comes and gives Lou and company an assignment to find what is called an Electromagnetic Pulse Device or EMP. This is a device that is capable of knocking out the communications in whole segments of countries making it impossible to use their banking systems, energy systems, internet and so forth. To make matters interesting this device was developed by a scientist who has been kidnapped by the tenth richest person in the world, Igor Dracka, and held on a ghost ship called the Artic Queen. Lou’s assignment takes him to such places as Sardinia, off the coast of Italy, Iceland, South Africa and the islands in the Arctic Ocean, as he searches of the missing professor, the EMP device and missing diamonds. Yes, diamonds hidden on the Arctic Queen. The good news for Malloy is that if he and his team can find the diamonds, he can keep them. The bad news is that a team of Israelis are looking for them as well and a team of terrorists, one from Syria and a tong from China led by a notorious outlaw called Henry Li of the deadly triad known as the Deadly Flower Triad or DFT. I am also in the process of developing a new character for a series named Indigo Marsh. 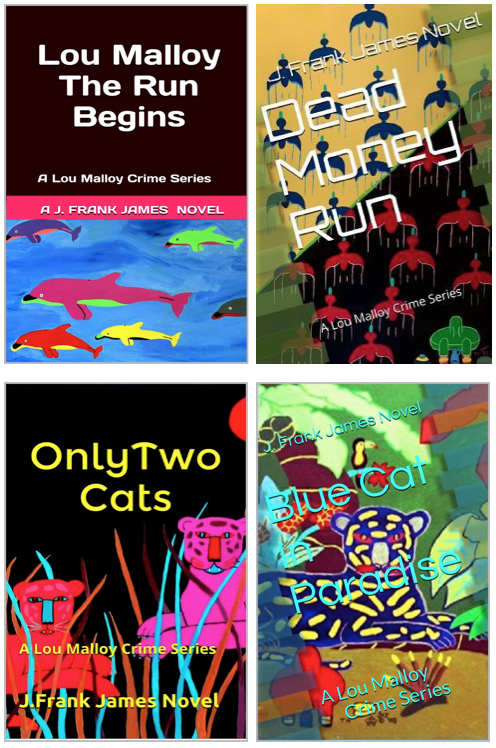 Where the Lou Malloy series is more of an action/adventure, crime series, Indigo Marsh is a pure detective ‘who-done-it’ type of series in the Phillip Marlowe-Mickey Spillane genre. 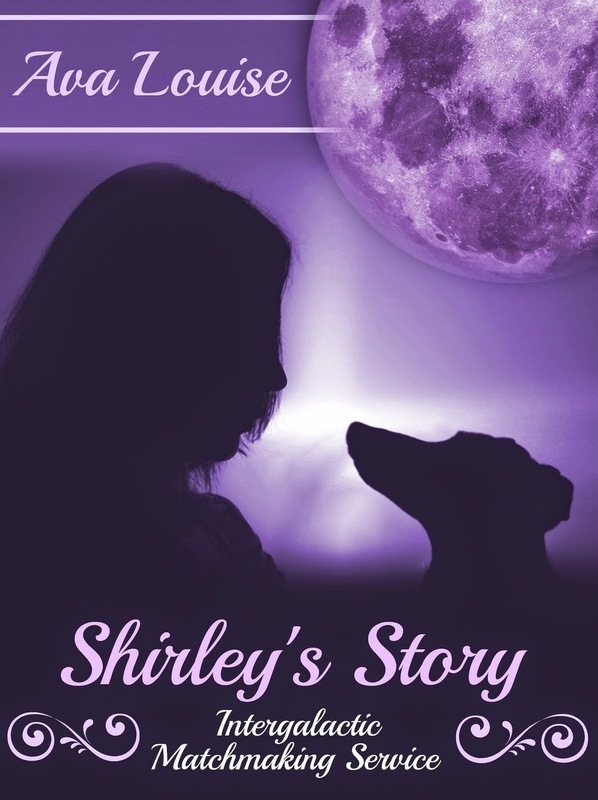 My plan is to write 20 novels in the Malloy series and 10 to 15 in the Indigo Marsh series and then I have plans to write a Christian mystery series and then a series of western novels. I am not sure, really. I like to think of myself as a story teller who reduces his stories to writing. Calling oneself a writer covers a lot of ground. I tend to be a bit of a daydreamer and when my mind wonders I come up with plots for stories and the rest is history, as they say. No, I do not. I am a consultant and I specialize in the field of Mergers and Acquisitions. I have been doing that for almost 20 years. However, having obtained a degree in journalism and one in advertising from the University of Florida, I figured that one day I would use the skills I learned in college. In addition, I was a reporter/photographer for a local newspaper when in school. Hence, writing is not foreign to me. Besides, I obtained a law degree and while in school was on the Law Review and published an article there as well. As far as finding time to write, that is an easy one. I love to write and because of that, most often or not, writing finds me. I love to write at night when the house is quite and I feel like I am in a cocoon. My wife and I have a boxer named Jake and Jake likes to sleep in the room where I write and every once in a while I have to get up and give him attention. I think that’s why he comes into the room to sleep. My father was killed in WWII and he and I never knew each other. My mother remarried a man who was little more than another man in our house. I never thought about what I was going to be or why. I was packed off to boarding school when I was 13 years old and I never returned home, so to speak, after that. So, from a practical standpoint, I never gave any thought as to a future. I was too busy trying to figure out what I was on a day to day basis. How I got to where I am today is somewhat divine intervention. Reading a book is meant to be enjoyable. I realize that there are some writers who feel the need to make a social statement. That is not what I am about. I want to take the reader on a trip to places that are both imaginary as well as put the reader in the story. Website | Amazon | Connect with J. Frank James on Twitter, Goodreads, and Facebook. Today's special guest is multilingual children's author and poet, Katie Grosser. Her Facebook page is here. Katie's newest children’s book is Rissa Filial und das Vermächtnis der Fabelwelt (Rissa Filial and the Legacy of the Fairy Realm). Her newest poem Waldspaziergang (Walk Through The Woods) is featured in the spring issue of the German magazine WOLL. The focus of today's interview is Katie's newest poetry project, titled Marvelous Mary. It is a collection of poems for children about a little girl called Mary and her everyday life. Each poem features a particular dilemma Mary faces while out and about – having to eat Brussels Sprouts, waiting for her father to come home to unwrap her Christmas presents, being afraid of thunderstorms and monsters or waiting for flowers to grow, to name a few – and shows the young readers how to deal with similar dilemmas in their own lives. This project is particularly dear to me because I have younger siblings and younger cousins, for whom the poems are a great way not only to learn some important life lessons, but also to actually read more. I think it is very important to learn to love the written word at a young age and with my Marvelous Mary poems, I believe reading can not only be educational, but downright fun! The collection of poems also provides a great opportunity for parents to read to or together with their children. And it has been great to work together with my cousin Danika Mosher, who lives in the U.S., and is an artist (you can check out her website at: http://danikamosher.wix.com/danikamosher). 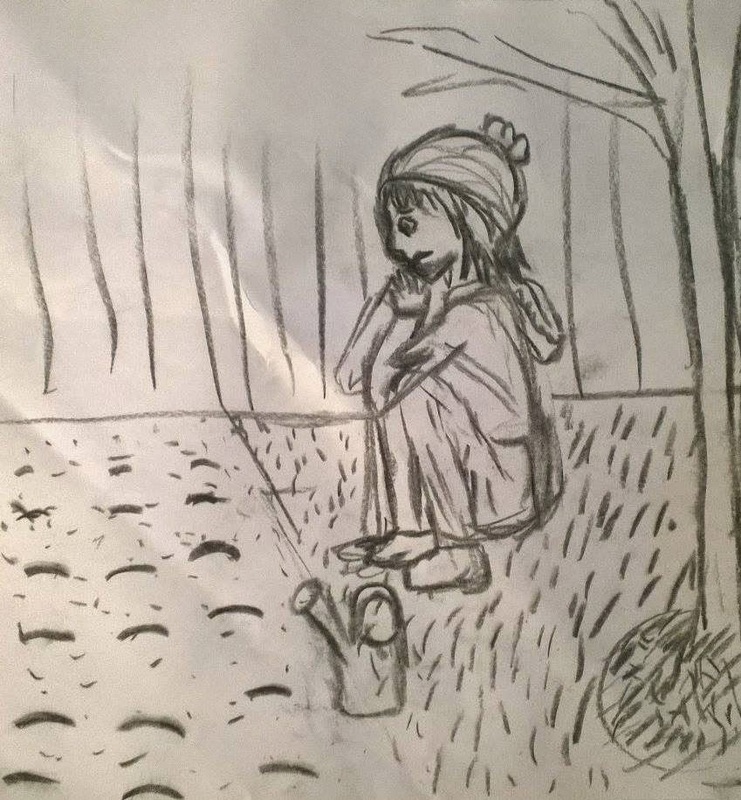 Danika has drawn up a few sketches for my poems that really capture Mary’s adventures (a couple drawings are included below). 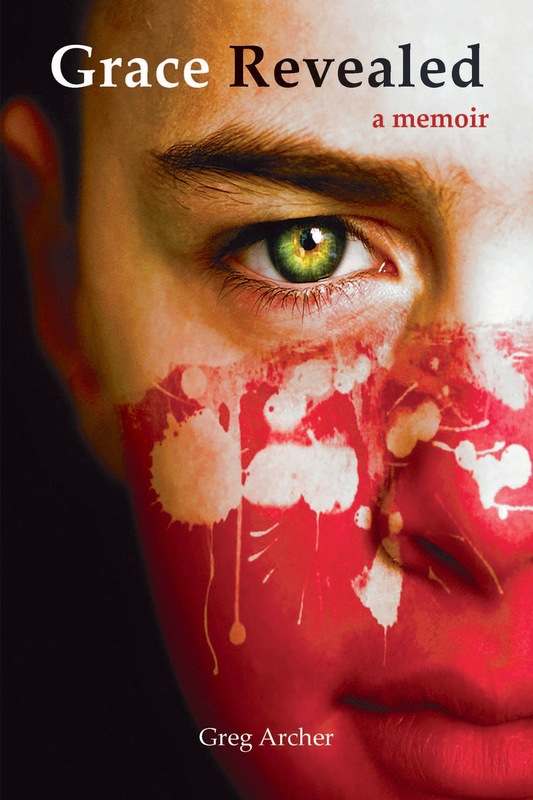 Katie Grosser, born 1990, writes novels, short stories and poems. She lives in Germany, where she is working on her PhD in Communication Studies. 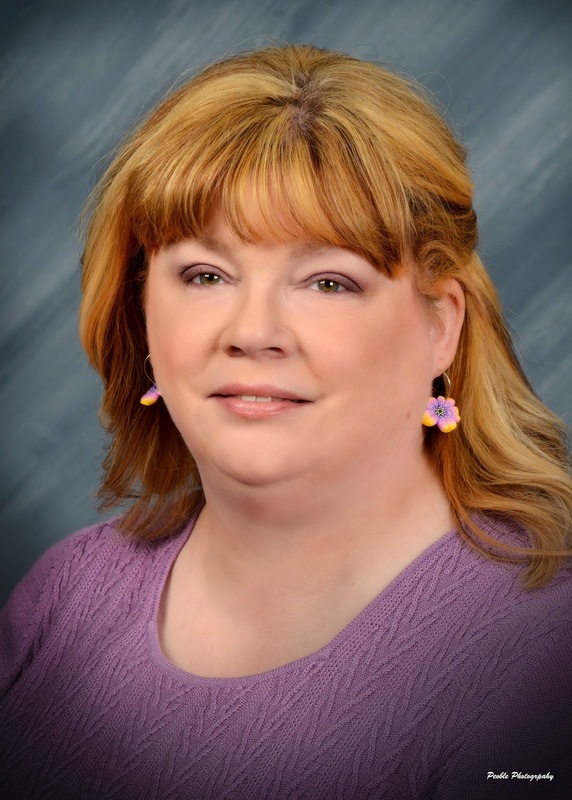 Writing has been her passion and constant companion since kindergarten. In 2014, she finally published her first book, a children’s novel called Rissa Filial und das Vermächtnis der Fabelwelt (Rissa Filial and the Legacy of the Fairy Realm), which is the first installment in a series of four novels. Katie’s mom is American and her dad is German, so she grew up bilingually and writes in both languages. Currently, she is passing on her love of the written word in a monthly column in the Westfalenpost Meschede, in which she showcases literature in English worth reading for a German audience. She is also currently contributing one poem to each of the German magazine WOLL’s 2015 issues. You can check out her column and find out more about her further projects on her website. I love the process of figuring out how to make the content, rhyme and rhythm come together! Usually, I know what I want to write about and once I get started, the words mostly flow from my fingers right into the computer. Sometimes, though, it gets a bit harder and I need more time and work to make particular lines really ring true. The way form and content in poems together create a bigger picture than each alone ever could is simply beautiful. But above and beyond that, I myself really enjoy reading poems and therefore hope to give my readers pleasure when the read my poems. Especially my young readers when I write poems for kids. At the moment, my main poetic project is Marvelous Mary. I will give you the first few lines of two of the poems from this collection. Her eyes, they were narrowed, and pursed were her lips. And told little Mary to wait for a while. Had planted some tulip bulbs, shiny and new. Once it was spring, all the flowers would grow. Of those bulbs blooming in colors so bright. In the place from which the flowers would spurt. She knew it was there and not just in her head! 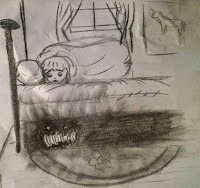 Mary couldn’t sleep – it gave her such a fright. And pictured it sitting there, looking so grim. And teeth that were yellow and long like French Fries! Its feet were quite smelly, its manners were gruff. And this was not something on which she was keen. As you can see, in both poems, Mary is faced with dilemmas. 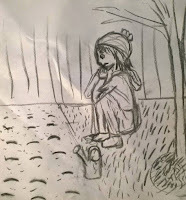 In Mary and the Tulips, she can’t quite believe that flowers will actually grow from the small bulbs she and her Grammie planted so long ago. 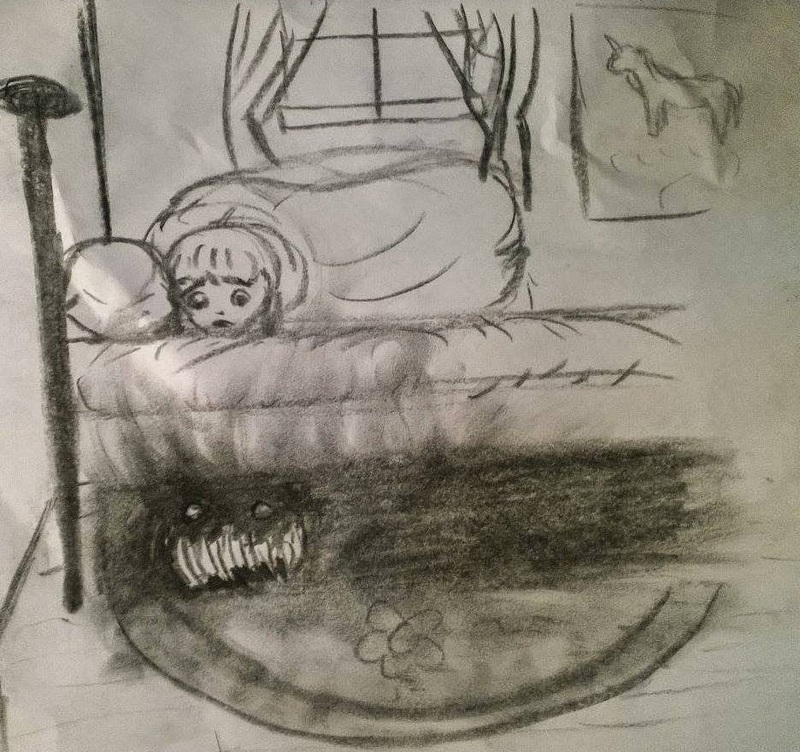 And in Mary and the Monster, Mary is afraid of what might be under her bed. My poems provide a fun way for young readers to confront problems and quandaries they might be facing in their own lives. Mostly, I write novels. The reason is that novels are ideal to tell long and complex stories featuring many characters and plot lines. Poems tend to be a bit more straightforward when it comes to telling stories, which is why my Marvelous Mary poems always feature one particular problem in each poem. But I actually really enjoy writing short stories as well! 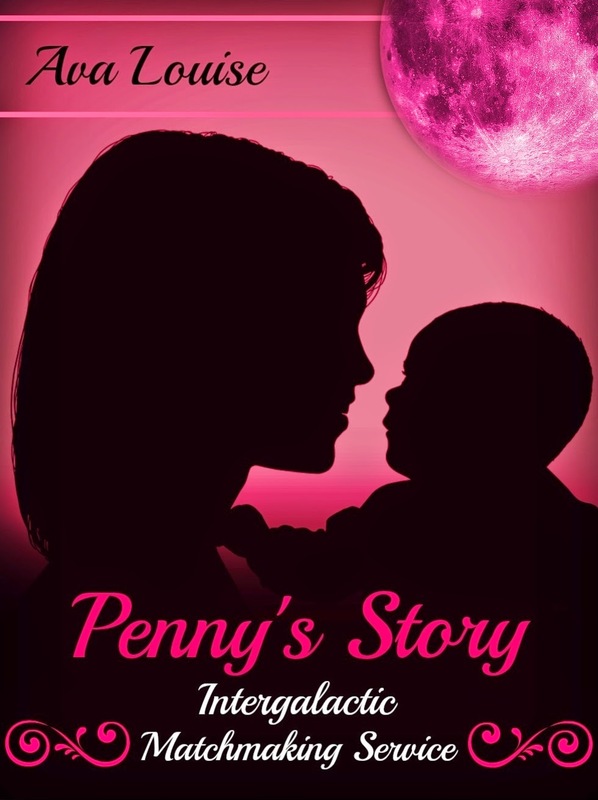 Speaking of short stories, one of the projects I am working on is a collection of short stories. I am writing them together with my younger brother. The stories revolve around a week in the lives of a group of loosely connected people in early adulthood – their fears and doubts, hopes and dreams. I am also currently revising a historical novel I wrote a few years ago before I get ready to send it to a publisher. It’s written in German, but is about two young Hessian brothers who fight in the revolutionary war. Recently, I also had an idea for a YA novel that I would like to write in English – but I still have my PhD to finish, so I have to take my projects one at a time. I have always considered myself a writer, ever since I started writing. Just because others might not have perceived me that way didn’t prevent me from feeling like one myself. But of course, I really started calling myself an author publicly when my first book was published in September 2014. That’s also when I set up my website and Facebook page and started publicly talking about my passion and my projects. Now others refer to me as an author or writer as well. When it comes to finding the right publisher, poets should buckle down for a long, bumpy ride. It really isn’t easy out there. I actually got really lucky with regards to publishing my poems in the German magazine WOLL this year. A mother of a young boy who had read my children’s novel contacted the magazine’s publisher and suggested that they write a feature on me as a young author. One thing led to another and the publisher and I got into talking and here I am, writing one poem for each issue. My advice is to put yourself out there and keep your eyes open for good opportunities. Plus, do your research. I am constantly on the lookout for literary magazines to submit my poems to or literary contests to enter. But only submit your work if you feel the magazine or contest is a good fit for you – otherwise you are just wasting your own and the publisher’s time. I am not even sure if it’s a real quirk, but sometimes I feel like I can’t write if I don’t have a nice big cup of tea. Black tea, with lots of milk. Not Earl Grey! English Breakfast Tea is best. I love the taste, of course – otherwise I wouldn’t drink it – but it has become somewhat of a ritual in that I need tea to be able to work. I really wanted to be a grade school teacher, which in Germany means teaching first through fourth grade. My dad is a teacher, which played into my dream. Once I was older, I became interested in journalism, which had a lot to do with my passion for writing. While I still work as a freelance journalist, my focus is now more on academia. I love working at the university and doing my research. In science, there is a lot of writing to be done, too! However, I still dream of – to paraphrase one of my favorite authors, Jane Austen – living by my pen. If you read novels or poems by young and not yet well-known authors, let them know if you enjoyed their work! Since I myself am a young and not yet well-known author, I know how great it feels to get positive feedback. I love visiting school classes or having readings and getting enthusiastic responses from the kids when I talk to them about my children’s novel. But even short comments via Facebook message, comments on my website or E-Mail can be a real boost. I write for myself, my own pleasure and my own joy, of course, but I also want to bring pleasure and joy to my readers, so it’s nice to know when I have accomplished that. Thanks for visiting us today, Katie! Today’s guest is inspirational writer Robert (BawB) Chomany. He’s talking a bit about his newest compilation titled, BawB’s Raven Feathers. 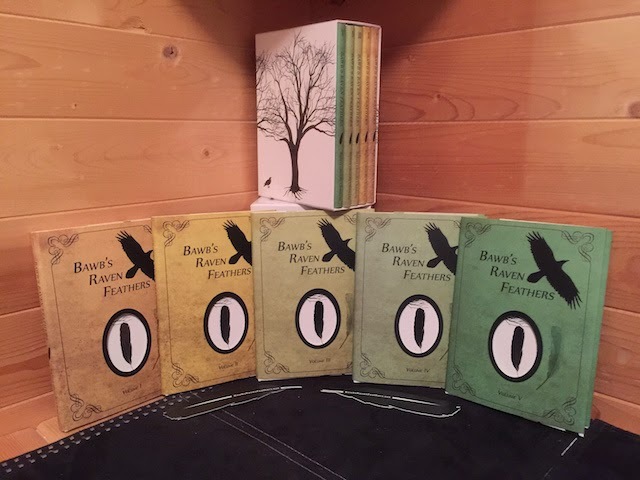 Robert (BawB) Chomany is the author of the BawB’s Raven Feathers award-winning series, which are pure and simple inspirational books. He was born in Calgary, Alberta, with a clear view of the mountains to the west. These mountains eventually drew BawB in, and he spent many years living in the company of nature, exploring his spiritual side. Welcome, BawB, please tell us about your current release. 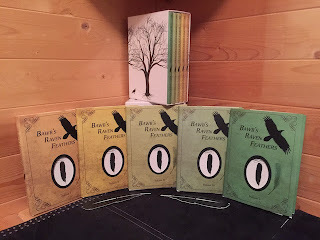 The current release is Vol V of a five volume series, Series One is now a boxed set. The Universe was becoming too full of negative energy, I felt a need to throw in some smiles and inspiration to help people look forward to their tomorrows. or do you wait with bated breath? or do they turn into life and death? and accept what we cannot control. it’s better to let things roll. After Vol I my editor called me a writer, I am still not comfortable with the title, its like a wool sweater, it fits, but it’s itchy. I write an inspirational rhyming quote every morning (Mon to Fri) and a blog page every couple of weeks, I am up each morning at 0500 and have a routine; I put the coffee on, let my dog Levi out then share a morning smile. The rest of my day is spent on marketing follow ups, creating new contacts, and physically popping in to the stores that carry my books, it means the world to me to share a smile with the people that have welcomed me into their stores. I can’t play an instrument but I am concerned with the flow of my rhymes, it’s like they have a “beat” from start to finish and I drive my editor crazy trying to keep it flowing. Older… and now that I am, I still don’t know what I want to b. Never give up on your dreams, keep your goals real and obtainable and you will always meet with success. 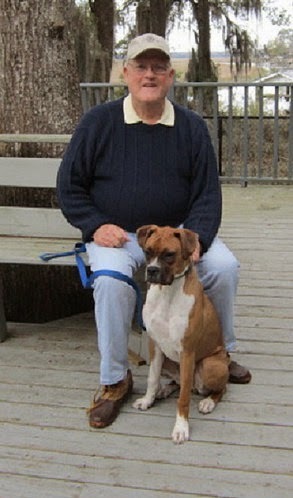 Today’s interview is with memoirist Greg Archer and his book Grace Revealed: A Memoir. During his virtual book tour, Greg will be awarding a $25 Amazon or Barnes and Noble gift card (winner’s choice). To be entered for a chance to win, use the form below. And if you’d like to increase your chances of winning, feel free to visit his other tour stops and enter there, too. Greg Archer’s work covering agents of change, history, travel and the entertainment industry have appeared in The Huffington Post, Oprah Magazine, San Francisco Examiner, The Advocate, Bust, Palm Springs Life, VIA Magazine and variety of cable television outlets. A four-time recipient of the Best Writer Award in a popular San Francisco Bay Area Readers’ Poll, he shines the light on change agents near and far, and other under-reported issues in society. In between receiving “signs” that he’s on the right track, he appreciates the time 11:11 (a.m. and p.m.). He splits his time between his hometown of Chicago and The Bay Area. Welcome, Greg. Please tell us about your current release. 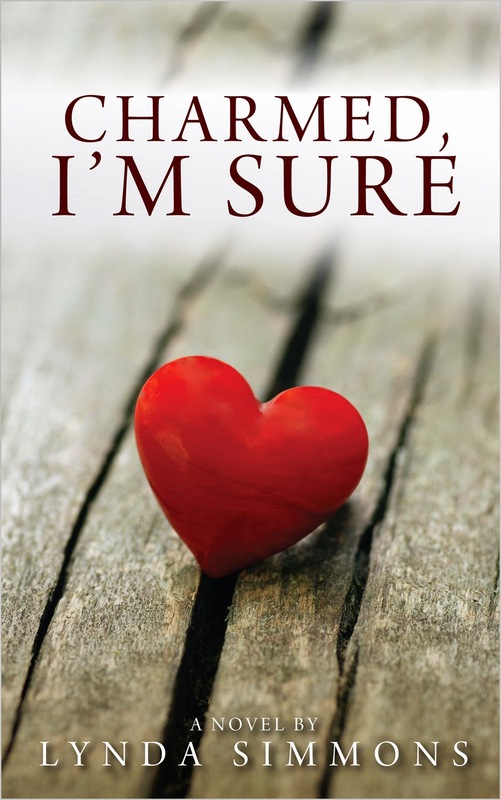 A writer recently quipped that Grace Revealed is “like a Polish Eat Pray Love.” And I like that. The book chronicles my journey uncovering my Polish family’s journey surviving Stalin’s mass deportation of Polish people during the 1940s. You get two rich stories in there—mine and theirs. Upon returning to California, several more months passed before I could will myself to take action and have the video file of my Polish family transferred onto a DVD. Like the floppy disk before it, I refused to give it even a quick glance. More than a year later, the DVDs were still buried underneath a sloppy arrangement of paperwork in the bottom drawer of my desk. Time passed. A lot of it. I kept myself busy—career, status, bright lights, and Hollywood red carpet events; interviews with the likes of Piers Morgan, Martha Stewart, Joseph Fiennes, and hosting community TV shows. All good. But a broken family picture frame ignored ... cannot stay ignored. I may have buried the DVDs, but for some reason, my family’s bona fide We Survived Stalin procession continued to make an insistent stroll down the streets of my mind. Poland. Stalin. Siberia. Uzbekistan. Africa. What did I need to realize? I kept asking myself that question. The answer? In passing along the information to me, my Uncle John had inadvertently made me an integral character in their tale. I was now part of their story. I recalled the famous 12-step saying: This too shall pass ... but first, it will PISS. YOU. OFF! Like some kind of perverse chain letter that must remain circulated, had my uncle simply been the messenger? Were all cosmic fingers now pointing at me, asking me to investigate something more deeply? But what? And why? I turned to another celebrity for inspiration. I had no other choice. Not really. On a chilly, foggy afternoon in Santa Cruz in late spring of 2012, I located Uncle John’s original notes yet again. I placed them near other transcriptions of interviews I had conducted with my Uncle Stanley, Aunt Jenny, and my mother, Bernice. I retrieved the DVDs that contained some of those interviews and opened their cases, fully prepared to watch them—again and again. As long as it took. It was as if I had been handed an elaborate, historic jigsaw puzzle whose intricately shaped pieces with jagged edges had just been tossed up into the air and the fragments had fallen down on top of me ... and I had to assemble them all back together again. I locked the doors of my cottage house. I pulled the drapes over the windows. I lit several white votive candles and burned small strands of white sage. If I was really going to travel back in time—really look at this stuff—best to do so using as many spiritual accouterments as possible. Besides, if God, The Universe, and the millions of Poles who suffered during the 1940s as a result of Stalin’s madness truly wanted to show me something more than I thought I already knew—that red and white were Poland’s color scheme and that their Polish Eagle always flies high—well, this was the only way I knew how to officially report for duty. First stop: Ground Zero—eastern Poland, early February in 1940, the moment when my family’s “once upon a time” swerved horribly off course and their “happily ever after” turned into a fractured fairy tale—once all theirs, but now, suddenly mine to experience. I pressed play on a DVD filled with recorded family interviews. Moments later, words turned into animated images and the images pieced themselves together, boldly projecting onto the big movie screen of my mind. My eyelids fell shut. Funny. Sometimes that’s the only way to see everything more clearly. I am working on another memoir. The running theme of it is “home”—what is it, where is it, what is it about that is so vital; how do we connect there? When I was in high school. I wrote feature stories for the school newspaper and I knew back then. I am a full-time journalist and author. I typically like to/ need to write early in the day. I often write about emotions … or, in my case, mood swings. There’s some rich material to explore on that swing. Mostly a writer. There was a time when architecture intrigued me. One thing that I would like to share is the importance of understanding one’s ancestry. With the rising popularity of ancestry.com and genealogy.com, I find the subject matter fascinating. I often encourage readers to explore their family’s past. For years, I resisted, but when I finally embarked on learning more about my family’ tale, it was quite remarkable and cathartic. 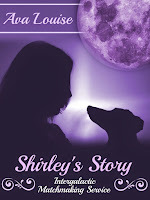 My special book excerpt feature for this holiday Monday is the romantic comedy novel Charmed, I’m Sure by Lynda Simmons. Sam scribbled the hamburger special on the board, carried his coffee through the front door and sat down on the step. He sent a nod across the road as the lights flicked on in Tracy’s beauty parlor. Raised his mug when Howard came out to change the pictures in the window of his real estate office, and lifted a hand to salute Jeff who was wheeling a third barbeque out to the front of his hardware store. Over at Cy’s Deli, rumor was that Howard had his hair colored in Tracy’s back room. Some folks wondered what else went on back there, but Jeff swore everything was aboveboard, since Tracy was still carrying a torch for Stan over at the Kwik Way. Sam nodded at a passing pickup and the driver honked back. A typical Saturday morning in Schomberg, every face familiar, every name known. While it made privacy difficult and gossip a way of life, it also made it impossible to ignore the woman talking to herself in front of the post office. She wasn’t a crazy person and definitely wasn’t dangerous. She was just Molly, who had wandered off again to sit under the statue honoring Schomberg’s war heroes and read the names of her two sons, Albert and Walter. No one was surprised when Cy took her into the Deli for a coffee because everyone knew Molly’s family would be around to collect her soon enough, and she wasn’t hurting a soul. Sam rose with his empty cup, still finding it odd that the very things that had driven him away years ago were the same things that had drawn him right back. He’d taken a risk in moving to Schomberg, gambling everything he had on a town that was still small and unsophisticated, and had only recently recognized its own charm. Subdivisions had sprouted in areas he’d last seen as farms and orchards, while outlet malls and shopping centers drew even the old-timers away from Schomberg’s main street. Yet there were people like him trying to breathe new life into the town with shops like the Looking Glass down the road and the Peanut Gallery near the highway. And of course there was the Tap Room, the most ambitious of all, with the most potential for disaster. Still, he couldn’t name a single regret or find any way to make Maxine Henley understand why. Fiction writer Ava Louise is here today to share her thoughts on "Lifelong Learning and Happiness" and talk about her Intergalactic Matchmaking Services series. According to Wikipedia, Lifelong Learning is defined as: the “ongoing, voluntary, and self-motivated” pursuit of knowledge for either personal or professional reasons. That sounds about right; if a bit dry. For me, Lifelong Learning means doing my utmost to learn at least one new thing each day. That One New Thing doesn’t have to be something as major as how to change the oil in my car. And sure, there’s always a new gizmo waiting to be learned by the masses. Figuring out how to program my smart phone may fill me with momentary satisfaction, but that wears off fairly quickly. I prefer to learn something that is felt inside of me. It could be about a world situation or something about another person that offers insight into them. It doesn’t have to be something monumental, just something that makes me think. Keeping the dust blown off the old grey-matter is the goal. The One New Thing can be something as simple as learning a new (to me) inspirational saying: Walk in Your Truth; Be a Voice, Not an Echo; To Thine Own Self Be True. Absorbing a bit of inspirational/motivational text can fill me with satisfaction for a longer period. Admittedly, some days there just doesn’t seem to be enough hours in the day to fit in one more goal; the goal of learning One New Thing. Learning the new, glitch-y software at work can make us feel we’ve stuffed enough “newness” into our day, let alone our brains. That in-the-soul satisfaction, though; now that is something that last a long time. It can be pulled forth and examined as often as you like, as often as you need. Happiness is learned and learning brings happiness. For me, this a circle with no end, no beginning. Instead of waiting for something to make me happy, I go in search of something to learn. That search is me being active in this huge world, searching for a way to grow as a person, searching for a way to give back to this world in which I exist. I spent decades waiting for that elusive something to come along so I could finally be happy. In that, I guess you could say I was a slow learner! I now realize that true happiness for me comes from learning…anything! How about you? Do you seek new knowledge on a regular basis? Or do you consider it a more passive endeavor?